QQQ remains in a weekly RWB up-trend and closed above all 12 moving averages (see glossary). 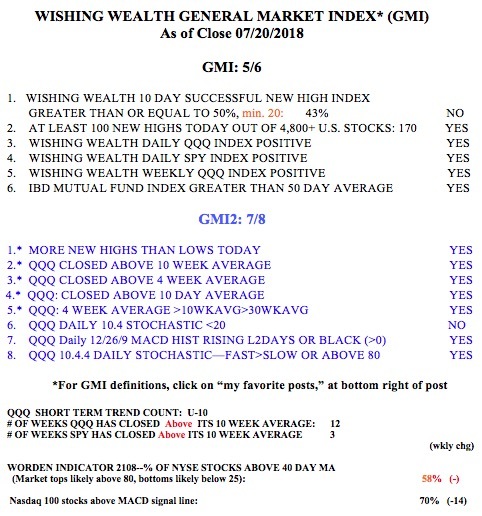 The GMI remains on a Green signal. I need to change my email for the daily blog feed, where can I accomplish this? Sign up in the box on the main blog page.